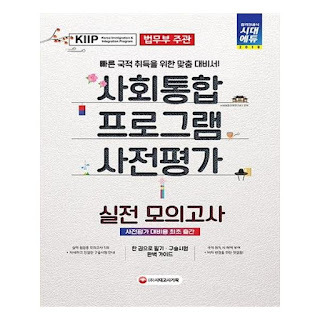 사회통합프로그램 사전평가 2018 (Korean Immigration and Integration Program -KIIP- Level Test) is a pre-test for assessing your Korean proficiency before taking the KIIP class. To prepare better for the level test, it is recommended to take some test samples, which are available in the test book. The test book is released every year, so the latest version is 사회통합프로그램 사전평가 실전 모의고사 2018, which can be purchased online on Gmarket or other Korean bookstores. 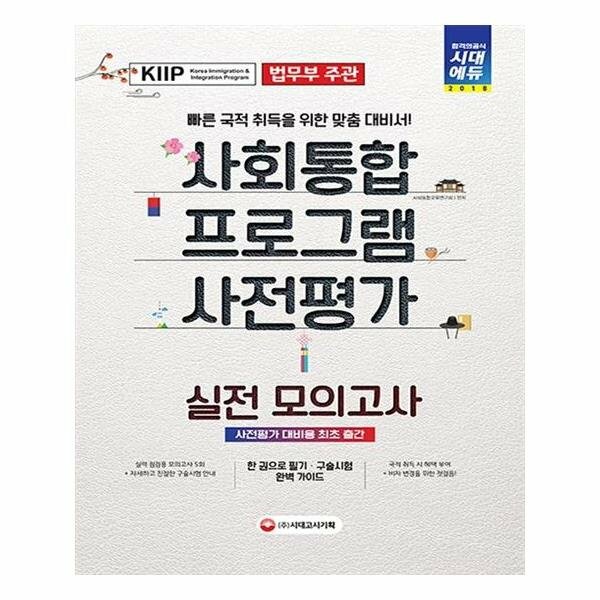 In case, it is difficult for you to buy the book, you can download the test book with 2 sample tests & keys in PDF format for free at KOREAN TOPIK. For the full version of 5 sample tests and detailed answer keys, please buy the book to support the book writers. What to prepare before the test? - 3rd: Re-check your test location & enter the testing room 30 minutes before the test. - 4th: You don't need to prepare any writing tools such as pens or pencils, it will be given at the test room. Hi, I tried to download 사회통합프로그램 사전평가 실전 모의고사 2018 PDF with 2 sample tests & keys, but failed :<. Can you upload on google driver or check the link again? Please use firefox or chrome to download the file. The link is still alive. 1) Check whether any "ads block" addons or extentions is activated on your browser. If it is existing, deactivated it. 3) Wait for 5 seconds, and click the 'skip ads' button at the top corner. 4) The download link is hosted on mediafire. It is a high speed, and download-resumable host.